Whether you are deepening a particular skill or trying a new woodworking technique, this is a list of classes for those with some basic experience. If this class is full, please add yourself to the Waitlist so we can notify you about the next class. 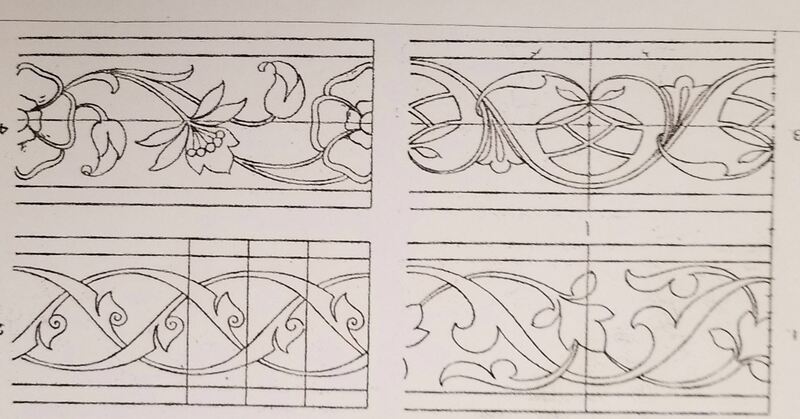 This is a three session class to carve a specific border design, which will train you to find, adapt and carve your own pattern an enhancement to furniture or a decorative border in your house. 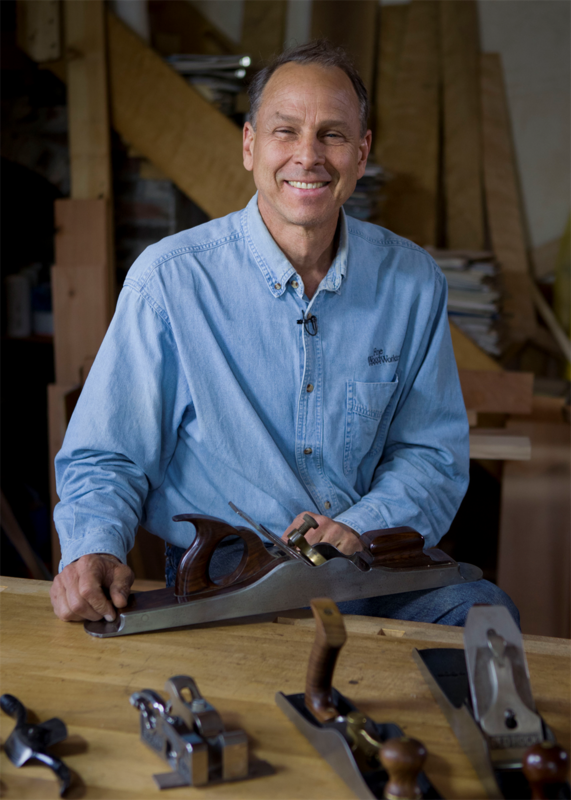 The class is intended for those who have completed Chuck's Introduction class, or have equivalent experience, tools and sharpening basics. If in doubt, contact the class coordinator. Homework is expected. 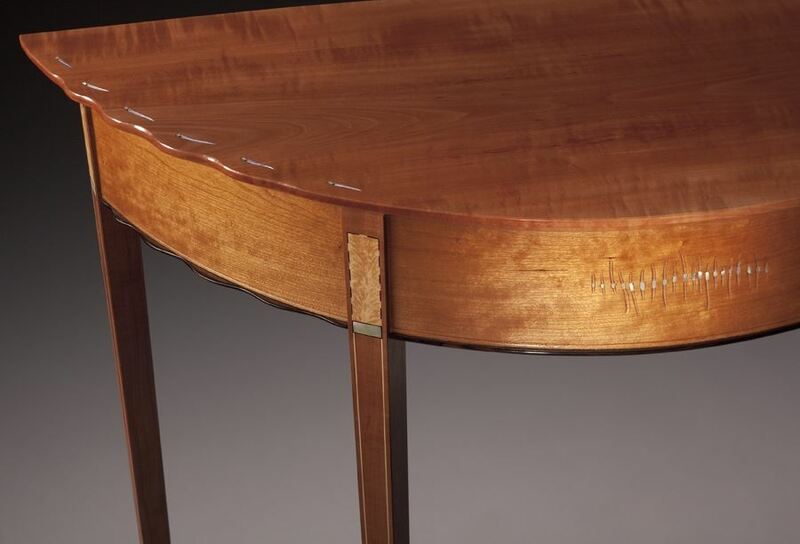 Chuck Rinehart has been woodworking for 60 years and the last 25 have included an extensive background in Classical Carving. This class sequence will be a hands-on opportunity to be guided by an expert. Chuck has taught this class in Rochester, NY before moving to Portland in 2017. The class is limited to six students because there is a lot of personal supervision and limited bench space. 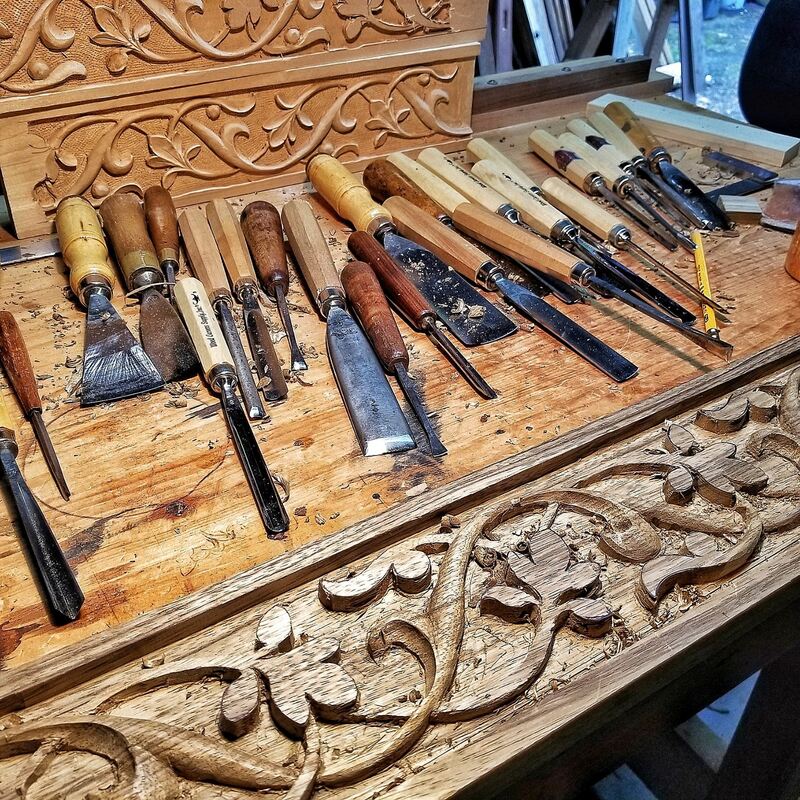 The Guild owns ome carving tools from an estate and some might be available for rental to augment your own set. The four hours per session over three sessions will give you time to carve and experience a variety of techniques. Most of the class is you carving, with some demonstrations. You should plan to arrive about 11:30 AM to help setup, EXCEPT FOR THE FIST class, then show up at noon. You will be expected to do carving between sessions. Students should plan to bring a snack; lunch will not be provided, but there will be drinks. The class coordinator is Heidi McNamee, 503-317-8939 (text and cell); contact her for any questions. Backup is Larry Wade, 503-312-7745. If this class is full, please add yourself to the Waitlist so we can notify you about future class options. This is a three week version, the first half of Chuck's earlier Introduction to Classical Carving. This class covers the essential topics with a lot of hands-on activities, to prepare you for more adventuresome projects, including one of Mary May's classes next fall. Chuck Rinehart has been woodworking for 60 years and the last 25 have included an extensive background in classical European carving. This will be a hands-on opportunity to be guided by an expert. Chuck taught carving classes in Rochester, NY before moving here in 2017. The class is limited to seven students because there is a lot of personal supervision and limited bench space. 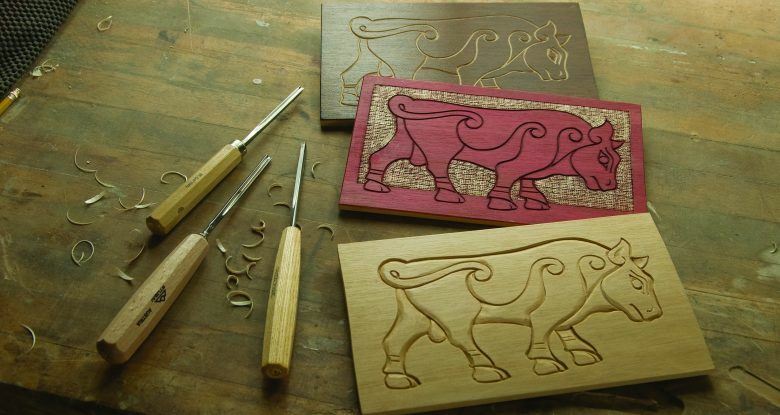 This class requires a modest investment in specific carving tools, and a detailed list will be emailed to registrants. Cost of new tools could be in the range of $200-300. Follow-on classes will require more tools, which you can acquire over time. However, the Guild was able to buy a rather substantial collection from an estate, and we have complete sets available to rent for $50 for the duration of the class plus a month as a way to recoup our investment and to help you. The four hours per session are mostly you carving, with some demonstrations. The class will be held in three sessions at the Multnomah Art Center (MAC) on consecutive Thursdays from 5:00 to 9:00 PM, but you should arrive 15 to 30 minutes early to set up your bench and get organized. You will be expected to do carving between sessions. Practice exercises are planned as a way for you to build specific skills and to expose you to a variety of tools and techniques. You will be required to purchase or borrow Chris Pye's popular book called "Chris Pye's Woodcarving Course & Reference Manual "(Fox Chapel), about $15 on Amazon, lower price if used, Powell's might have it, and copies are sometimes available in libraries. One exercise will focus on using a veiner (#11), which is described in the book, but you can also preview this exercise online by clicking here. There will be other exercises to introduce other basic tools. Students should plan to bring a snack; dinner will not be provided, but there will be drinks and a few snacks. The class coordinator is Larry Wade, 503-312-7745 (text and cell); contact him for any questions. Guild classes benefit members. Not a member? Visit the Membership webpage and Join Now. This is a six (6) day workshop. Students will be supplying and milling their own lumber to rough dimensions prior to the workshop. Case construction is a fundamental furniture making skill. Designing and building a small cabinet is an ideal project to explore the design, details, and challenges of solid wood construction before starting on much larger pieces. We’ll delve into strong case joinery, choosing appropriate materials, dealing with wood movement, securing shelves and backs, making and attaching moldings, case corner details, making and hinging doors, and if we have time, making drawers. Emphasis will be on hand skills and hand tools to size, smooth, shape, and fit parts. We will also integrate machines to make the building process efficient and accurate. A list of tools and materials will be provided well in advance of the class, but please register early. There is a fair amount of stock prep work necessary before the first day of class; your early registration will offer plenty of time to obtain stock, let it acclimate to your shop, and complete rough milling tasks before class. Final milling of most components will occur during the class periods. 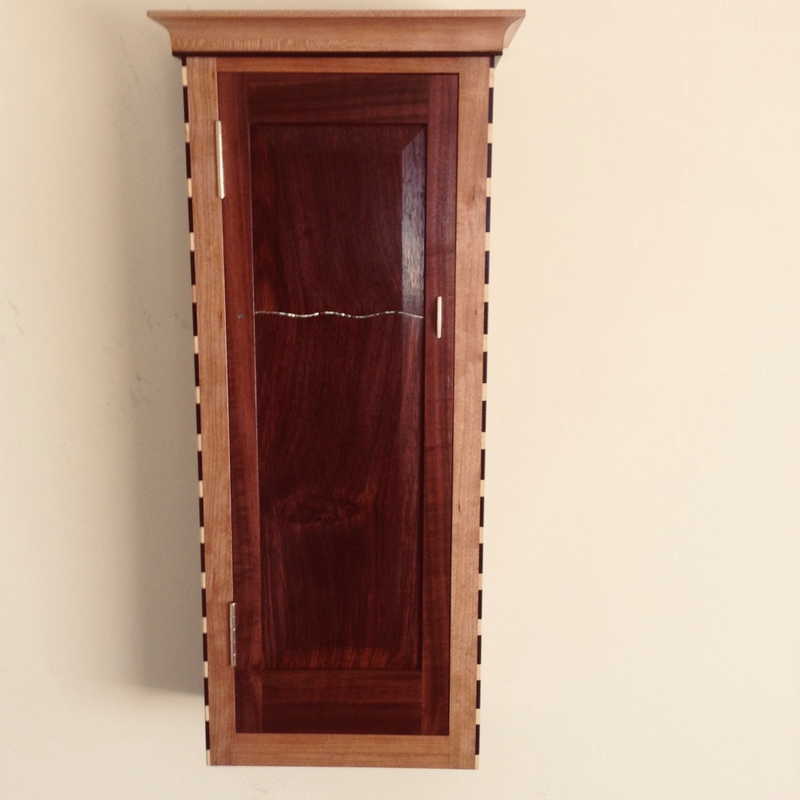 To make hinging the doors easier, we will make a before-class purchase of the proper hinges for a cabinet of this size and divide that cost up among the class. Hinges, snacks and beverages, and lunches will be provided. If registering after 1/15/2019 full payment is required within 7 days of registration. A cancellation notice must be submitted to the GOOW-Registrar 30 days prior to the workshop for a 50% refund. If the vacancy can be filled with another student, a full refund will be received. Please note that your registration for this class is not complete until the class registration fee is received by the registrar. Class registration fees must be paid in full within 7 days of registration to avoid being dropped from the attendee list. 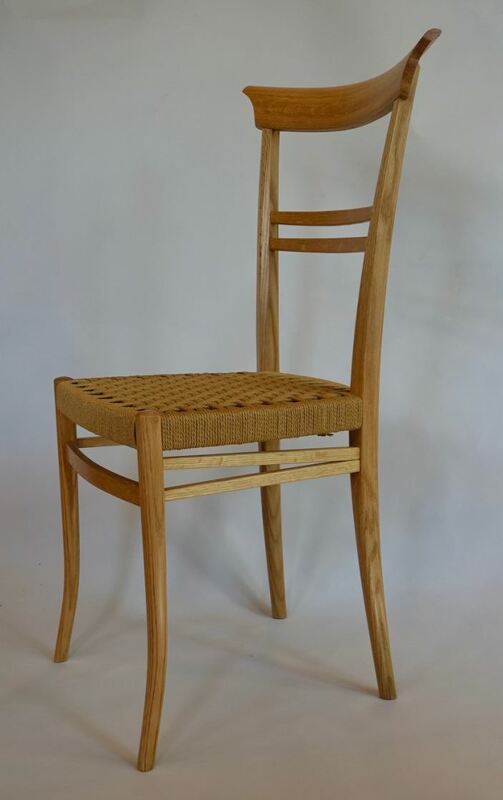 You can pay online using PayPal, or by check made payable to the Guild of Oregon Woodworkers. Reference the class title and number on the memo line and mail it to: GOOW-Registrar, C/O Julie Niemeyer, 20282 SW Inglis Drive, Beaverton, OR 97007. Discover the many uses and methods of the table saw, jointer, chop saw, planer, band saw, and drill press. Safety and maintenance will also be covered. Carving an Acanthus leaf teaches you many skills that can be applied to other forms of carving. The leaf itself comes in many styles, and has evolved over at least two thousand years and many are stylized forms of an ideal, even though you can find actual leaves in gardens in Portland. We have two possibilities for teaching - one with Chuck Rinehart and the other with Mary May. Chuck Rinehart has now taught this class several times for us, and has taught it many times before at his former club in Rochester, NY. His design is quite challenging and was developed by his mentor, a British Master Carver named Ian Agrell. This is a three week class, which was originally part of the six week Introduction to Classical Carving class, but we broke that into two sequences of three weeks each, the Foundations class and one on the Acanthus leaf. Mary May is coming in October 2019 to teach two, two-day classes and there is a possibility she can include one of her thirteen different styles into one of the classes. She wrote a comprehensive book on carving these designs, and a copy is in the Guild library. For an extra fee, you can also watch or download detailed videos at her online school. There is a fairly large set of tools that are required and some sets are available to rent from the Guild at a cost of about $75 (TBD), if you don't have or don't want to invest in your own tools at this time. Chuck's class will be three sessions, each four hours, spaced every other week for you to do the required homework. COST of the class is $180, including materials, but not the tools. It's free to sign up on this interest list. You must have prior carving experience with mallet-capable tools, nominally Chuck's Foundations of Classical Carving. We are exploring the possibility of creating a three week class to design and carve a sign. Steve Hickcox has professional experience making signs and will partner with Chuck Rinehart, who will help with the carving. This is an outgrowth of Chuck's letter carving class. The design issues are significant and will likely take two of the three sessions to work through choices for fonts, wording, inter-letter and inter-word spacing, wood choices as well as decorative treatment and finishing alternatives. You will largely be doing the actual sign construction and carving on your own. While you chose your own sign, one idea is to develop a sign for your own home shop, or perhaps for the studio of your mate or friend. Prior carving and woodworking experience is expected. Cost of the class is probably $180 but does not include the wood for the sign or tools. It's free to sign up on this interest list. Register your interest in taking the three week class to introduce you to Letter Carving. Chuck Rinehart taught this class twice for us but has taught it before at his former club in Rochester, NY. This is a three week introduction class based on the techniques created and documented by Chris Pye in his book and on his online school. In three weeks you will learn enough to accomplish quite a bit, but you will also learn this is a big field with lots of options and time required. Hopefully this class will whet your appetite, and it will also teach you some techniques for other types of carving. You are required to buy three long handled tools useful for lettering, along with having a carving mallet and access to a variety of gouges to cut the curved shapes. The Guild owns some tools that might be useful for you in case you don't have any. The class uses Chris Pye's text that is out of print but you will be able to borrow one of the Guild's copies or get one from a library. The used copies have gotten ridiculously expensive, approaching $100. 23 Jan 2015 FREE CLASS (Kinda): What’s a Deadman, and Why Would I Want To Build One? 16 Mar 2013 Bill Bolstad Table 4 Ways !